Why Join UCP of Maine? Internships are always a fun learning experience. UCP of Maine can offer an internship anywhere within the organization if the opportunity is there. For more information on some of our internship programs please contact our human resources team. 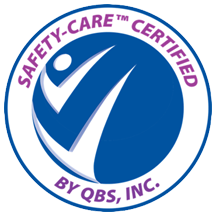 UCP of Maine is Safety-Care certified by QBS, inc.